THE huge swathe of rubber estate under the Rubber Research Institute Malaysia (RRIM) in Sungai Buloh will soon be a thing of the past. Trees will be felled and about 300 staff members will be relocated to other facilities to pave the way for a new hub in the Klang Valley. It was reported that it would be one of the federal assets to be redeveloped under the Greater Kuala Lumpur Strategic Development Project, an initiative under the 10th Malaysia Plan to revitalise the city. Other assets eyed are the Sungai Besi military airport, Pudu Jail and Kuala Lumpur Financial District. 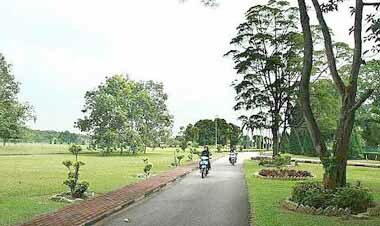 Serene: The Rubber Research Institute in Sungai Buloh is situated in a tranquil environment. The new development is expected to be an integrated development concept encompassing commercial, residential and a transport hub under a joint-venture between the Federal overnment and the Employees Provident Fund. In spite of strong sentimental ties, the Malaysian Rubber Board (MRB) that owned the 1,348ha (3,330 acres) tract since 1925 and its staff members are prepared to let go of this historic site packed with glories and memories for the country’s development. 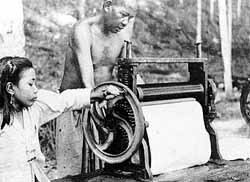 Fruitful labour: This was how workers produced rubber sheets in the old days. “We need development within the RRIM and we also want to help the government to advance,” said MRB director-general Dr Salmiah Ahmad during an interview with StarMetro. “Actually, the development did not come as a surprise to us because it was mentioned by the former Prime Ministers but it just did not take off. We hope the development on RRIM Sungai Buloh is a win-win situation for both MRB and the government,” she added. Rubber plantation takes up about 939ha (2,320 acres) of the RRIM while the remaining area houses nurseries, experimental laboratories, midstream and downstream pilot plant factories and housing for the staff, complete with two schools, a mosque, an Indian temple and recreational facilities. 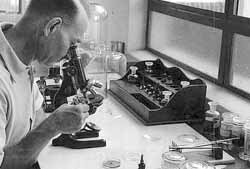 Betterment through research: An old photograph showing a scientist at work in the RRI laboratory at the experimental station. There are currently 660 staff members here, including 63 tappers. RRIM was aimed at improving the efficiency and reducing the production costs of natural rubber through research and development. Planting rubber trees on a large scale complements the transfer of technologies to the estates and smallholders. 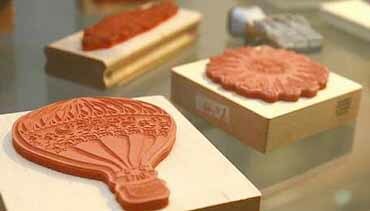 The institute also plays an advisory role and provides testing facilities to the industry. Dr Salmiah said it had been agreed that about 243ha (600 acres) would be retained for RRIM facilities, which would include the headquarters, Centre for Excellence that houses latest research and development amenities, a business cluster to encourage foreign investments, the Royal Commodity College that prepares trained work force for the industry as well as a museum. 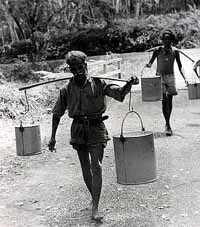 Hard at work: An old picture of rubber tappers carrying pails of latex from the estate in Sungai Buloh. She hoped the facilities could be ready in time before the development takes off to prevent disruption in RRIM’s operations. She added that the research activities in the upstream sector would then be moved to the board’s other experiment stations in Sungai Sari in Kedah, Bukit Kuantan in Pahang and Kota Tinggi in Johor. In tandem with this, about 300 staff members will be relocated. “We have informed the staff about the relocation even though we do not know the details yet. We have a negotiation team to hear what they want and the problems they may face to help them adapt to the changes, we do not want the move to be forced upon them,” she said. The long-term staff here have mixed feelings about the impending development, too. They will surely miss the tranquil working environment but they feel that they are happy that the site can play an even bigger part for the country’s betterment. For Shaardan Sharif, general manager of the experiment stations, it is difficult to bid adieu to a pleasant place he has worked at for the past 17 years. “It is probably the nicest place to work at in the Klang Valley, where else can you find a greener space? It used to be surrounded by forests and on one side is the Sungai Buloh Industrial Park. It was then only accessible by trunk roads and the surrounding was so serene,” he recalled. Better values: Rubber Research Institute Malaysia also focuses on the development of manufacturing technologies for value-added rubber products. “Much has changed now. The trunk road was upgraded to a dual carriageway in recent years while bustling townships such as Subang Bestari, Kota Damansara and Ara Damansara have replaced large stretches of the forest. We have to embrace the changes,” he added. “I trust the proposed development is good for the nation in terms of economic growth, having 243ha of green belt saved for RRIM is good enough,” he said.